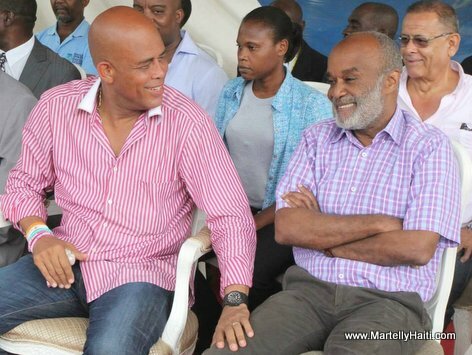 Gade foto saa... President Michel Martelly shita kot a kot ak ansyen president Rene Preval, wa di se de bon zanmi, y-ap ri... Sa se bel bagay! Pa vre? Congratulations, this is a good sign for progress, former President are working together with current President to make Haiti a better place to live. This is a New Era for Haiti with a better civilization. Haitian people, get together to develop Agriculture.